HE MAY HAVE started from the bottom, but Aubrey Drake Graham is very much on top of the world right now. Rapping is the 28 year-old’s bread and butter, but with fingers in the metaphorical pies of acting, business, clothing, management, production and sports, the multi-award-winner could never be accused of being a one-trick pony. The focus, however, will be very much on the Toronto native’s musical skills when he performs for the first time on Australian soil, headlining Future Music Festival and completing a run of sideshows. Drake tops a bill featuring Swedish EDM superstar Avicii, English electronic stalwarts and 2013 headliners The Prodigy, rap-ravers Die Antwoord, Grammy Award-winning DJ Afrojack, as well as local favourites Hilltop Hoods, in what is another stellar line-up put together by the festival. Future Music Festival director Brett Robinson told news.com.au of the organisers’ joy about securing the rapper in a less competitive marketplace following the demise of the Big Day Out. “Scoring Drake for the festival is a big jawdropper,” he said. An appearance at Brisbane Entertainment Centre two days before the Queensland leg of the festival is set to serve as a warm-up, with support coming from friend and frequent collaborator 2 Chainz, who is also booked to appear at the festival. The fact that promoters have confidence enough to book a slot at the 13,000 capacity venue when a festival appearance is already locked in says everything you need to know about the Canadian’s popularity in Australia. Rising quickly from an acting stint on the small screen in Degrassi: The Next Generation to holding the record for the most number ones on Billboard’s R&B/Hip Hop chart, Drake is a genuine phenomenon, with 36 million Facebook followers in tow and close to a billion YouTube views to boast about. But how has an artist who didn’t even release an album in 2014 managed to remain at the forefront of Hip hop and R&B culture? The answer likely lies in the diversity of his output; from becoming rap’s hottest co-sign and second biggest touring star (after Jay Z), hosting Saturday Night Live and the ESPYs, to allegedly getting his wood on in Nicki Minaj’s Internet-breaking ‘Anaconda’ video. Great things continued to happen for him despite a misguided swipe at Rolling Stone for pulling his front cover at the last minute in order to pay respect to the life of Philip Seymour Hoffman. He also claimed quotes he supposedly didn’t say about Kanye West made it into the feature, which the magazine belatedly published. “I’m disgusted with that. RIP to Phillip Seymour Hoffman. All respect due. But the press is evil,” he Tweeted, before adding “I’m done doing interviews for magazines. I just want to give my music to the people. That’s the only way my message gets across accurately.” Rucking with the music press has been the downfall of many an artist, but Drake has managed to ride the critical storm and come out the other end smiling. Not happy with only taking verbal potshots at the media, he has been involved in so many beefs with other rappers that there is an entire Wikipedia page dedicated to them. Perhaps most prominent was his diss trade-off with rap mainstay Pusha T, in which the two traded lyrical and online blows before Chris Brown became the new target after an alleged incident in a nightclub. It’s perhaps unsurprising then, with such a willingness to roll up his sleeves and put in the hard yards, that Drake is so heavily involved in a number of successful enterprises outside of music. As global ambassador and member of the executive committee of his hometown basketball team the Toronto Raptors, he is subtly and successfully merging his love of sport and music. His record label October’s Very Own (OVO), which he founded with longtime friends Noah ‘40’ Shebib and Oliver El-Khatib in 2012, is home to a small roster of North American rapping talent, with ILoveMakonnen, PartyNextDoor and Majid Jordan being standouts. Building the OVO brand into a multi-faceted business which includes a clothing range and the OVOFEST festival – the latest of which featured Outkast and the man himself – Drake has proven himself to be equally adept at raking in the dollars via non-musical methods as he has done via rapping. As far back as 2009 he was writing the lyrics “I want the money/Money and the cars/Cars and the clothes/The hoes, I suppose,” for his song ‘Successful’. Fast forward six years and he’s got all of these things and more in the palm of his hand. Now it’s Australia’s turn to feel the force of Aubrey Graham. 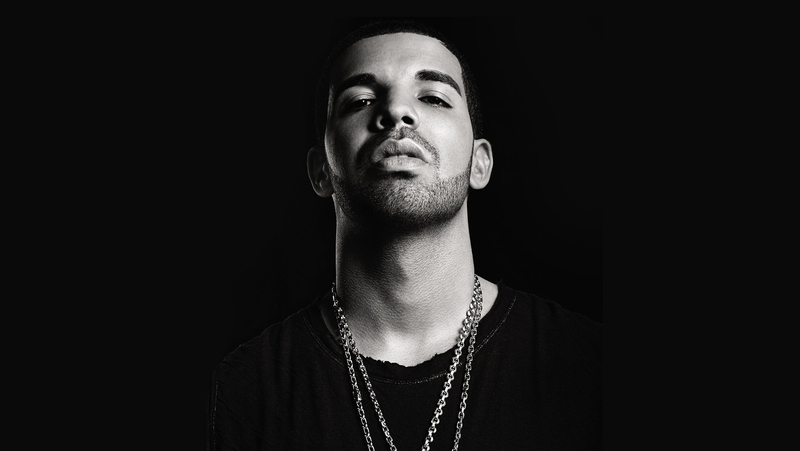 DRAKE PLAYS BRISBANE ENTERTAINMENT CENTRE, BOONDALL, MARCH 5 AND FUTURE MUSIC FESTIVAL, DOOMBEN RACECOURSE, MARCH 7.